100% brand new, never used. Made of lightweight aluminum alloy material. Designed for smooth flow, easy assembly. No leakage under high pressure and temperature. Anodized finish for durability and corrosion protection. Universal application for Oil/ Fuel/ Water/ Fluid/ Air Line. Used for the conversion between oil tube and oil cooling of car. Completely reusable, just disassemble and put onto another hose. Lightweight aluminum alloy material. Anodized finish for durability and corrosion protection. Designed for smooth flow, easy assembly. No leakage under high pressure and temperature. 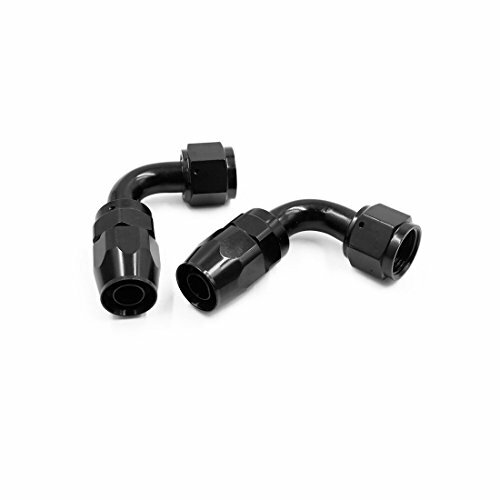 Used for the conversion between oil tube and oil cooling of car. Universal application for Oil/ Fuel/ Water/ Fluid/ Air Line. If you have any questions about this product by X AUTOHAUX, contact us by completing and submitting the form below. If you are looking for a specif part number, please include it with your message.